Since early April 2019, excavators have been rolling across the site in the new Kreckelmoos industrial park near Reutte where Ceratizit is building a new grinding and tool & die factory. 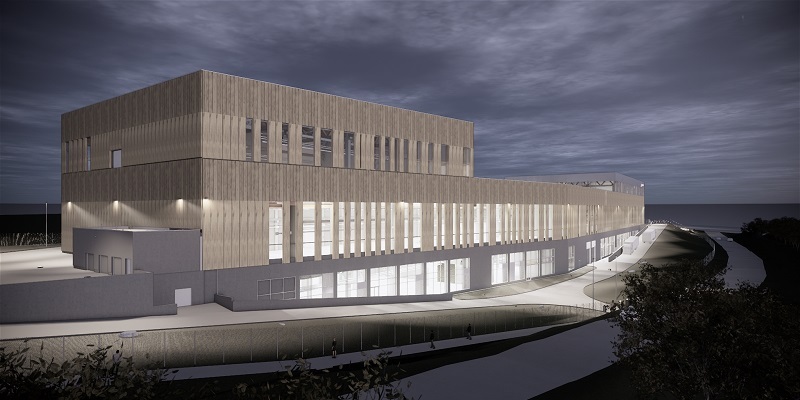 During the public City Council meeting in Breitenwang on April 2, Ceratizit Austria Managing Director Peter Fink presented a model of the planned new construction. The multi-story building has a length of 200 meters and a width of 80 meters, making it approximately twice the size of a soccer field. The height will be as much as 20 meters. The building is expected to be move-in-ready by the spring of 2022 and will employ a staff of up to 300 people in a 3-shift operation. In addition, a parking area with 130 spaces will be built. Ceratizit is the only company undergoing construction in Breitenwang's commercial park, which measures over 50,000 square meters. The investment will be in the double-digit million euro range. While Plansee's and Ceratizit's existing manufacturing buildings are located fairly hidden beneath federal road B179, the new facility is being built one kilometer away directly at the Reutte bypass, making it a great advertisement for the company. To combine the old plant with the new building, Ceratizit will pave a previously privately used gravel road—an underpass beneath B179 is already in place. As a result, internal plant traffic will be routed away from public roads. According to Peter Fink, the burden posed by additional truck traffic will be low. Only three trucks a day are expected to leave the new plant for the Ceratizit Logistics Center in Kempten, which is also in the process of being rebuilt—directly at the Leubas interchange of highway A7. At present, three companies of the Plansee Group operate at the Breitenwang/Reutte location. While Plansee SE manufactures semi-finished products and components made of tungsten and molybdenum metals, Ceratizit Austria GmbH specializes in the production of carbide tools for machining processes. The new building will house the Grinding Shop and Tool & Die. With the new construction, Ceratizit Austria is meeting the strong global demand for hard metal tools.